Vice President of Digital Transformation and Executive Director of the BPO/ITO/ KPO Chamber at the National Business Association of Colombia (ANDI) interviews IRPA AI Founder, Frank Casale, about RPA and AI, its impacts, and his advice to Columbian business and government leaders. Santiago Pinzón Galán: Is this new trend of RPA and AI playing out as you expected? Frank Casale: Well yes and no. Back in 2014 when I launched The Institute for Robotic Process Automation and Artificial Intelligence I did predict that this would be a game changer and that it was about to take off. That said I’ve been surprised to see that while many outsourcing service providers have moved quickly to invest – the enterprise buyers have moved much slower. Santiago Pinzón Galán: What is attracting so many companies to automation and AI? Santiago Pinzón Galán: You coined the term digital labor several years ago. Please explain the term. Frank Casale: While many see this rapidly growing trend around RPA, intelligent automation and AI as a tech revolution it’s really a reinvention of how work gets done. What started for many organizations as an onshore model two decades ago, then shifted to an offshore near shore labor arbitrage model is now shifting to a no shore model. It software. Very intelligent software that does a good chunk of the work your workforce is doing today. There is only one thing better than inexpensive people getting your work done. And that is no people. So, this is really about a shift from traditional labor and labor arbitrage to what I call digital labor. Santiago Pinzón Galán: What impact do you see this having on outsourcing? Frank Casale: If you are an outsourcing customer it’s all goodness. You save money , increase speed , quality, analytics and reporting. Your organization is much more effective, nimble and scalable if not elastic. Outsourcing service providers on the other hand are today facing a significant threat to their survival. Their entire business is based on labor arbitrage which is exactly what is being outmoded by digital labor. Some providers will see what is happening, embrace and invest in these new technologies and thrive in this new world of digitally fueled service offerings. These players will experience more growth and profitability than ever before. Others will move too slow and be forced to exit. The market no longer wants or needs a traditional outsourcing service provider. It’s about being a next generation service model. And being a next gen service provider. One just needs to see the many layoffs already taking place among the leading Indian Service providers to see the writing on the wall. It’s about to get ugly. Santiago Pinzón Galán: What about the nearshore service providers? How will they be impacted? Frank Casale: Similarly those who hesitate will be in trouble. The providers to ” get it” and pounce on this will do very well. The interesting opportunity for Latham providers is that the right countries and companies will for the first time be able to compete and win quite often against India. With the right intelligent automation and next gen business and pricing model you will be able to consistently out price and out deliver especially for US clients. This could be a game changer. Santiago Pinzón Galán: What about Colombia specifically what is your advice to business and government leaders here? Frank Casale: What I really like about Columbia is that a hand full of the govt and business leaders get I and are investing. I sense a real hunger and desire to evolve and lead in this changing market. You can feel it and see it when you are there. If the momentum and the investment continues and the right partnerships and channels are established then Columbia can be a leader in the industry. I’m talking significant business and social impact. This is not just about toolset. It’s about mindset. And Columbia has the right mindset and seems ready to make some big moves. 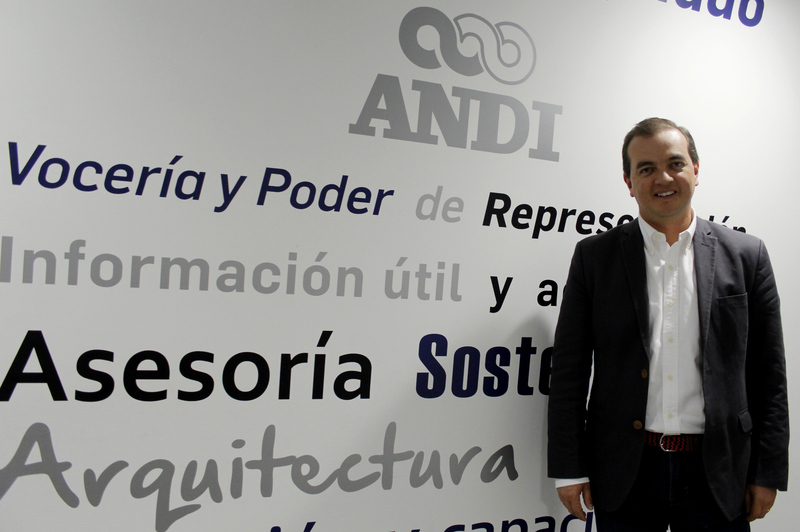 Visit http://www.andi.com.co/SummitTransformacionDigital/Paginas/agenda.html to learn more about the agenda at the ANDI Conference.